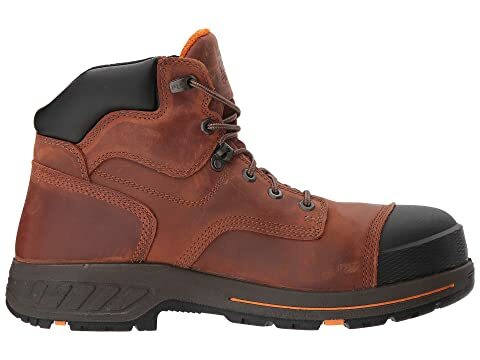 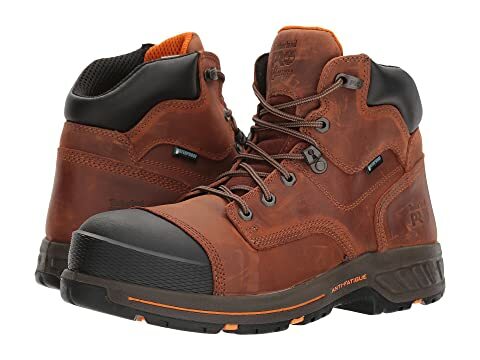 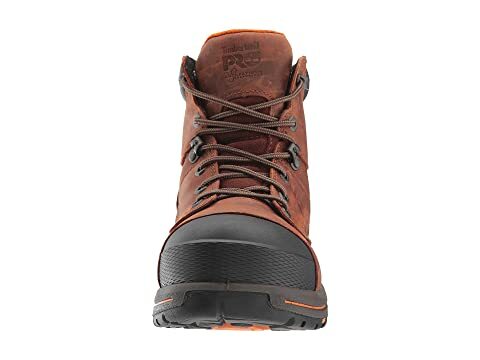 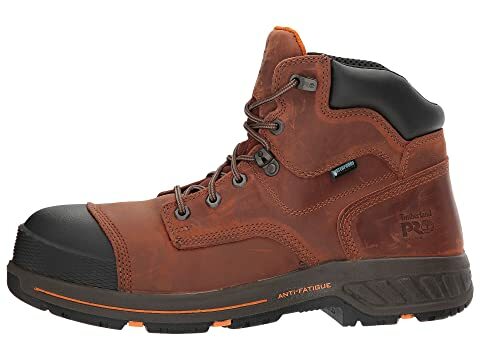 The Timberland PRO® Soft Toe Waterproof boot has the ideal combination of support, shock absorption, and slip resistance to see you through difficult work days in total comfort. Mesh lining with antimicrobial treatment to fight odors. 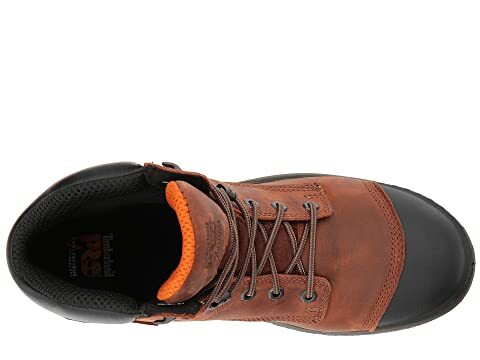 Contoured, single-density open-cell PU footbed with antimicrobial cover for breathable comfort and odor control. 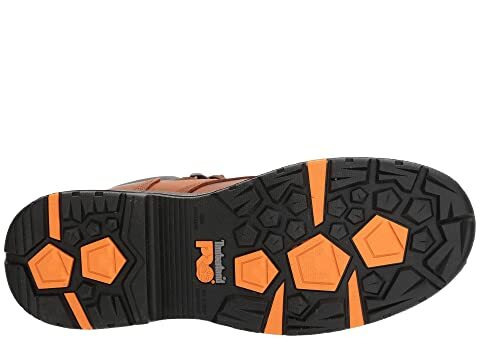 Features exclusive Anti-Fatigue Technology that absorbs shock and returns energy at key zones of the foot for superior underfoot comfort. 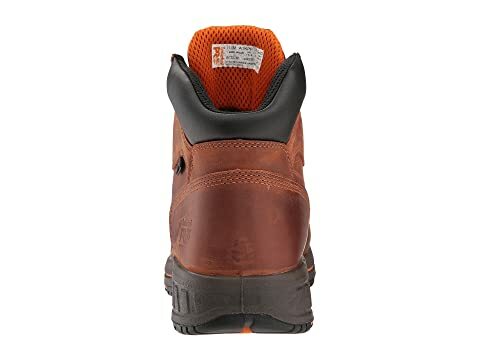 Timberland PRO® rubber outsole is slip, oil and heat resistant and features Ladder Lock™ outsole radius.